A thread for space Commercialization stories, both from the company and soverign nations perspective. Several nations are setting themselves up as flags of convenience for space commercial operations; the US, likely Russia and China, Luxembourg, soon the Emirates, the Saudis, more in the works. "SpaceX era" in the sense of commercial space being very active. NASA tries to find its place in a future where orbit, and perhaps even the moon and Mars, could become the hottest places to do business. NASA has ventured every which way across the solar system, but a change of direction closer to home could be its most audacious move since the moon landings. 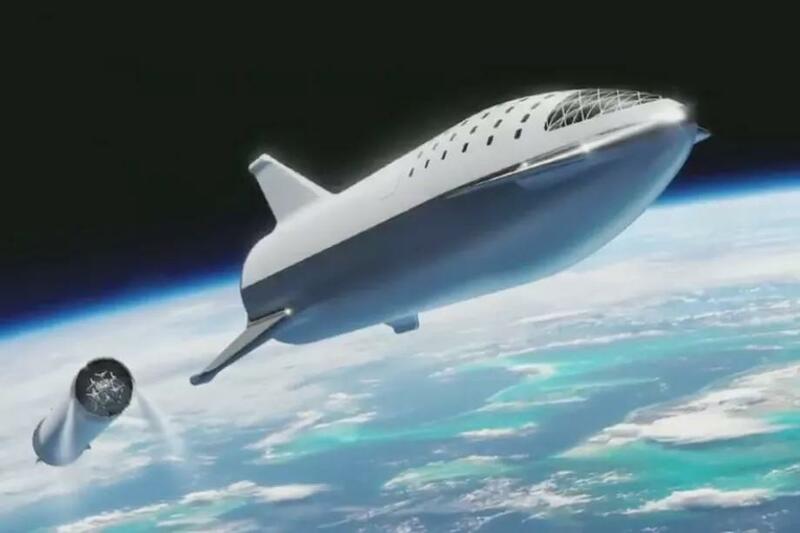 In the next decade, a typical mission could go something like this: NASA astronauts board a SpaceX Big Falcon Rocket (BFR) along with commercial astronauts and a few wealthy tourists. The rocket stops at the new space hotel circling the globe to drop off the visitors and the NASA astronauts spend a few hours there filming an advertisement and lending their endorsement to the privately owned "microgravity resort." From there, the commercial astronauts continue on to service the lunar gateway, a space station in orbit around the moon that functions as a sort of truck stop for traffic between Earth and the moon. The NASA astronauts journey on to the lunar surface to continue building the agency's new outpost there, where both SpaceX and competitor Blue Origin already have permanent landing pads and the latter provides meals prepared by the only off-planet Whole Foods in the galaxy. And if the push to open NASA and space to commercial interests succeeds, this vision could also include a significant trade between Earthlings and the first permanent residents of Mars by the time NASA turns 100. "Right now we've got a Boeing astronaut, and we're talking about having a SpaceX astronaut and even maybe not astronauts ... but folks that are going [to the ISS] for other purposes," new NASA administrator Jim Bridenstine said at a NASA Advisory Council meeting in August. "They could be going for science or developing capabilities or they could be going simply for tourism." Big Falcon Rocket's spaceship. 55 meters long, 9 meters wide (not counting the legs & canards.) The first flight test vehicle is under construction near the Port of LA. 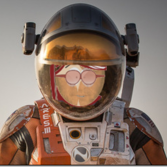 Blue Origin hasn't revealed their large crew vehicle, yet. A proposed Spaceport in the Azores. The objective of this International Call for Interest is to encourage and invite enterprises and public organizations from around the world to collaborate with portuguese enterprises and research laboratories to design, install and operate a spaceport on the Island of Santa maria, in the Azores, in association with the development and operation of a new generation of satellite launch services to space. The ultimate goal is to provide low-cost, frequent and regular access to space for small satellites, as a way to boost the utilisation of space for the benefit of humanity. the Government of portugal and the regional Government of the Azores are jointly engaged in supporting the growth of the current portuguese space business in close international cooperation and in a way to guarantee the growth of global New Space industries with the technical support of the european Space Agency (eSA). The immediate goal is to start sustainable small-satellite launch services from Santa maria, Azores, in 2021. Its installation should be oriented in a way to open up to new areas of intervention for launch services, including the potential development of a spaceport in the Atlantic, extending existing satellite and launcher monitoring and tracking, as well as accelerating a new generation of space activities oriented for small satellites. the activities to be developed are to be considered under the overall effort associated with growing international initiatives for the "New Space" commercial sector, along with the need to accelerate safety and security initiatives involving the use of micro, mini and small satellites. The overall concept should address the full end-to-end value chain by being associated with the emerging expansion of earth observation activities to application areas, which may range from agriculture and fisheries, ocean, land and air measurements, to infrastructure monitoring, urban development, safety and security, together with the growth of "New Space" entrepreneurship worldwide. These expressions of Interest constitute the first of a three-phase process aimed at setting partnerships between commercial launch service operators and portuguese enterprises and other institutions for operating launch services from Azores by 2021. OOoooohhh ... that's a fantastic location. Difficult to set up shop, yes; but there are going to be numerous advantages to a location such as that. Wow ... ideal place for a BFR pad too. Luxembourg started the "flags of convenience" many years ago for 1) Space mining and 2) Space venture capitalization. They were ahead of their time, with some entities laughing at them. Their clear vision is now accepted as evidenced by other countries coming on board. Credit when credit is due. Finally...Commercial Satellite data purchases as a pilot program. Ariane 5 _is_ one mighty sob tough, to bad it's so expensive. Oh wow ... that's a surprise. Spaceflight Industries' rocket launch services business is disrupting the industry's model 'entirely,' Morgan Stanley said in a note to investors Friday. The note is the latest in Morgan Stanley's "Space Disruptor Series." Spaceflight Industries has two businesses: The all-in-one launch services unit, known as Spaceflight, and a satellite imagery unit called BlackSky. The former "has launched 210 satellites" to date, Morgan Stanley said. Spaceflight isn't slowing down, either, with contracts to launch about 100 satellites this year. BlackSky represents the company's reach into satellite operations. The unit successfully launched two satellites at the end of last year, Global-1 and Global-2, and expects to launch six more this year. Spaceflight Industries aims to eventually have constellation of 60 satellites to provide high-resolution photos of Earth nearly on demand. The company announced a $150 million fundraising round in March for the first 20 satellites of the BlackSky constellation.